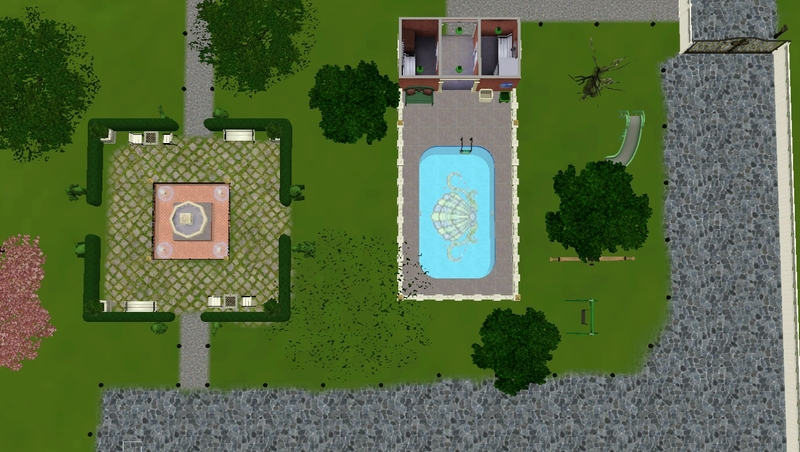 Federal Legacy was built in Bigger Builder Island by QBUILDERZ with a world edited lot. 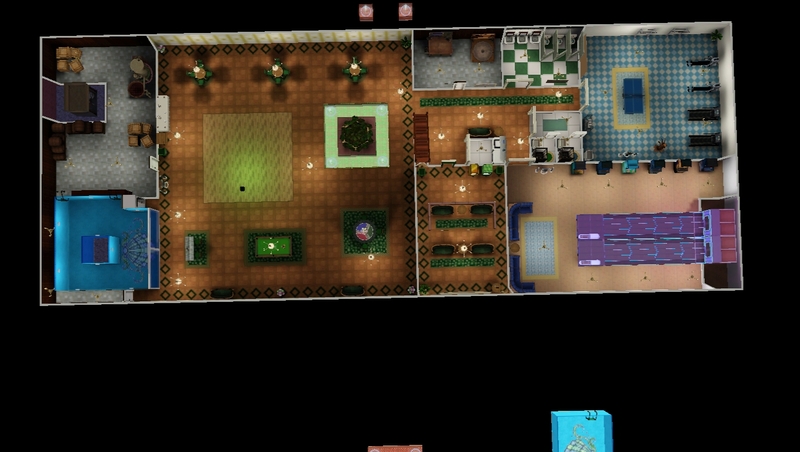 I could not fit the front of whole lot in one screenshot so divided it into 2(screenshots 43 & 44). 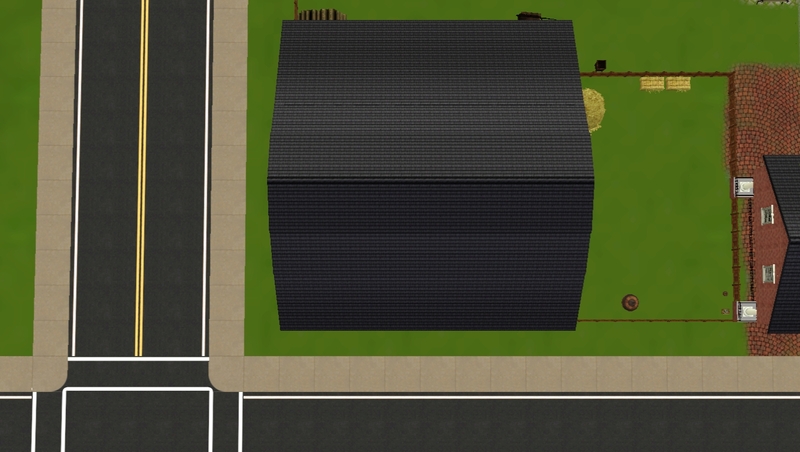 There are 2 files in this creation. 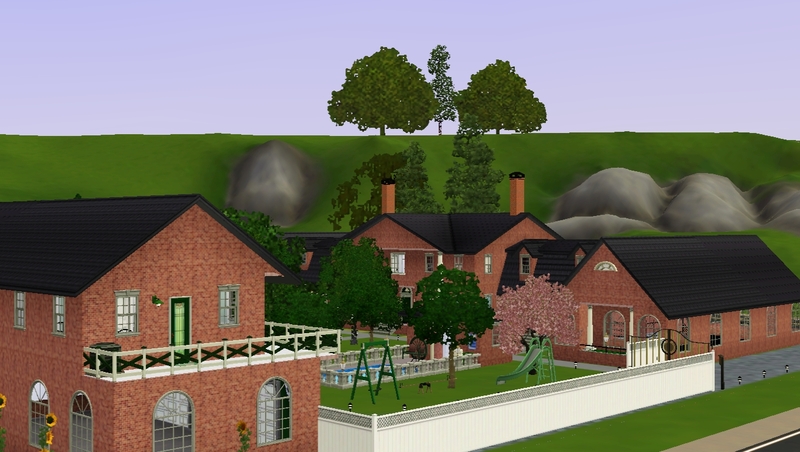 The original house as it may appear circa 1700-1830. 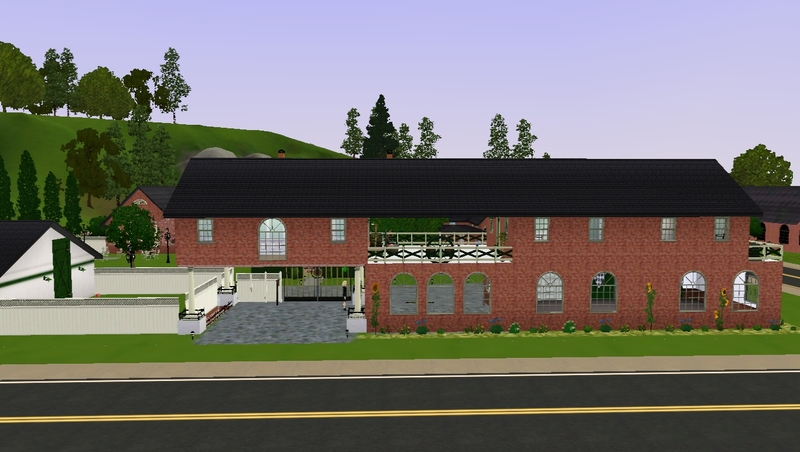 The modern house as it may appear today. 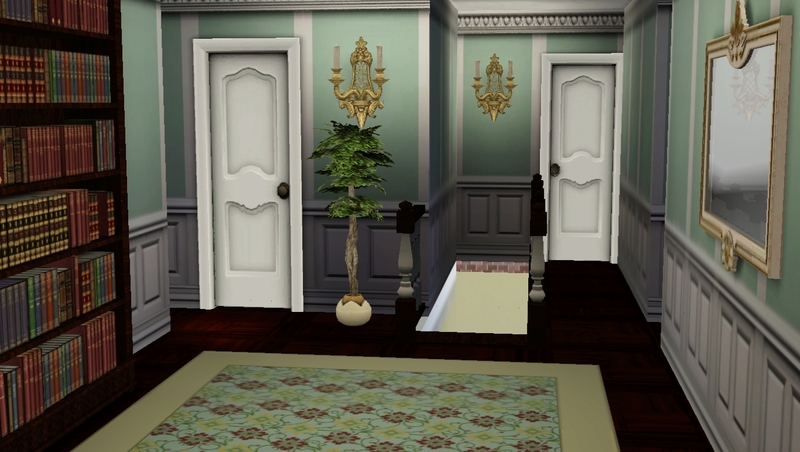 Choose one or both as you desire. 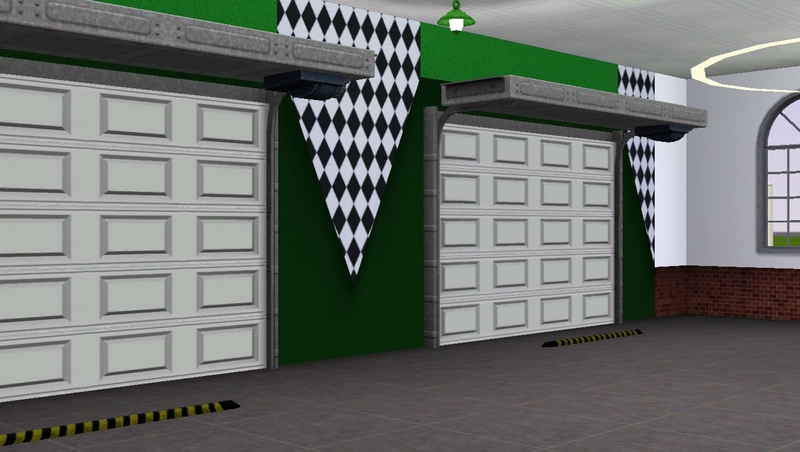 These are package files-they go in your library folder. 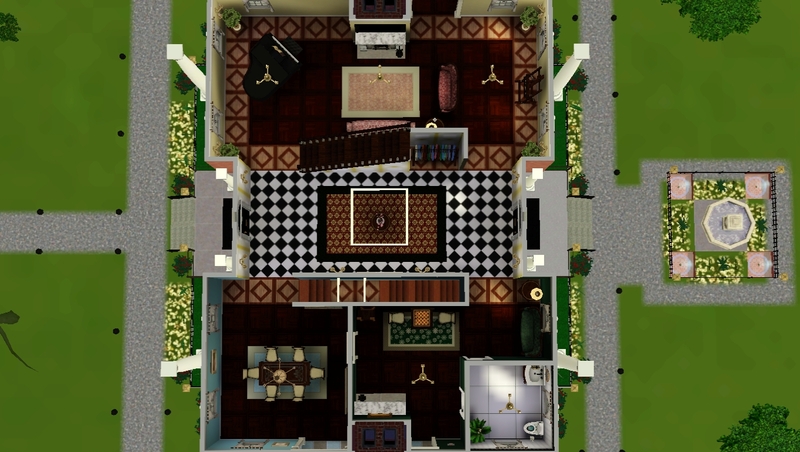 Original price furnished:474236/ unfurnished:296524. 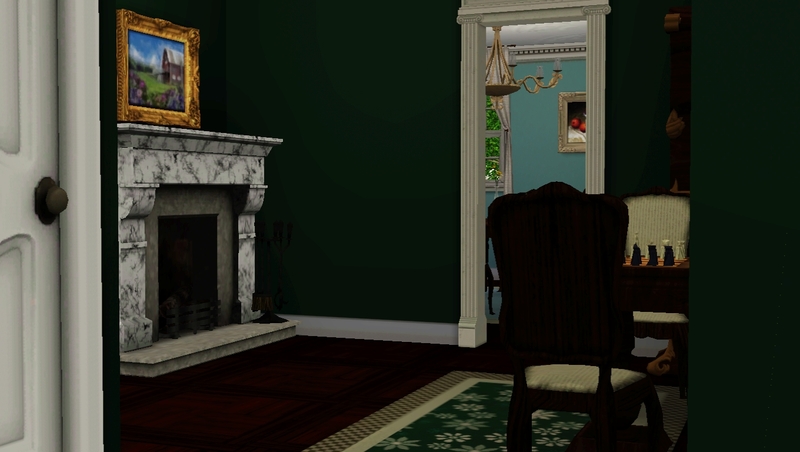 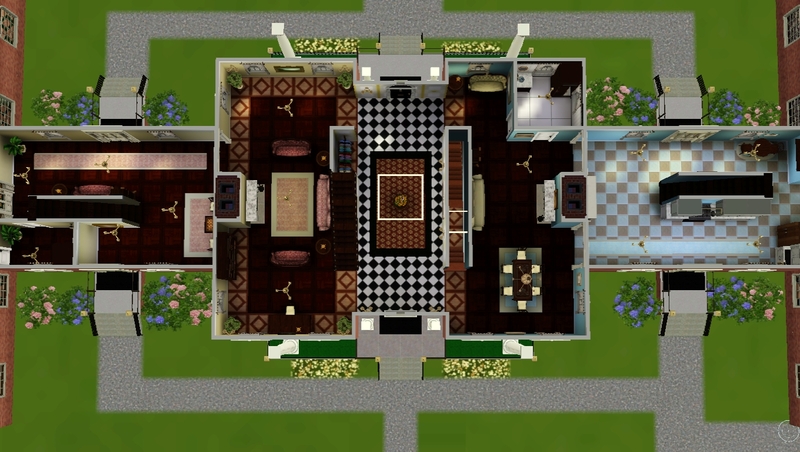 The modern home is a 9Br,9+Ba, and comes with 4 fireplaces. 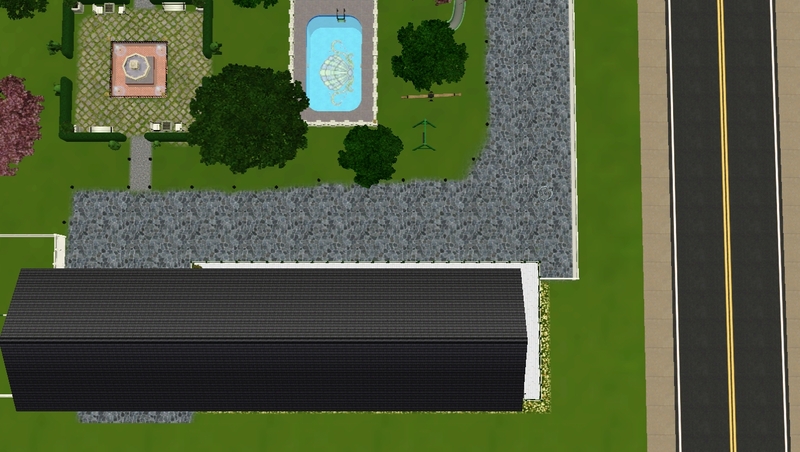 It's features include stables,outdoor/indoor party areas, outdoor/indoor pools,conservatory,gym,theater, wine cellar, arcade, nursery, carport, two car garage, and playground equipment. 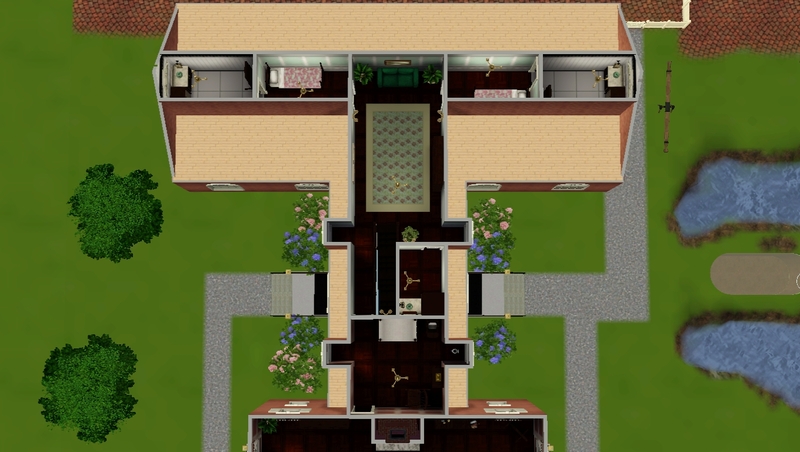 The features of the original home include stables, indoor party area, artist studio, outdoor pond, wine cellar, nursery, large farming area for crops, and playground equipment. 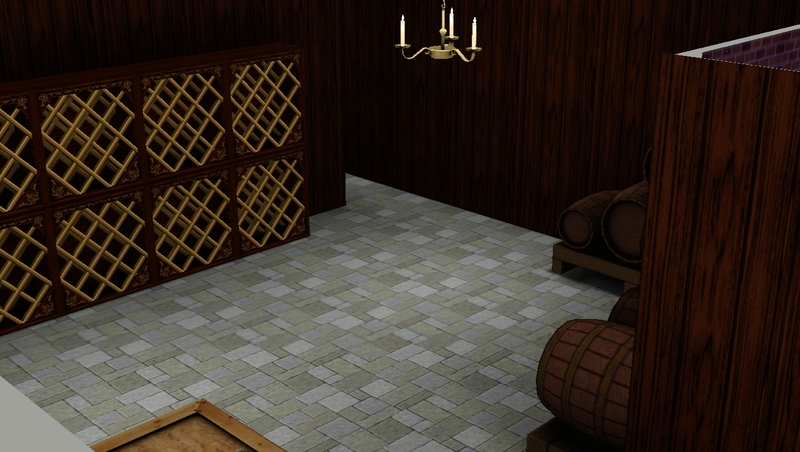 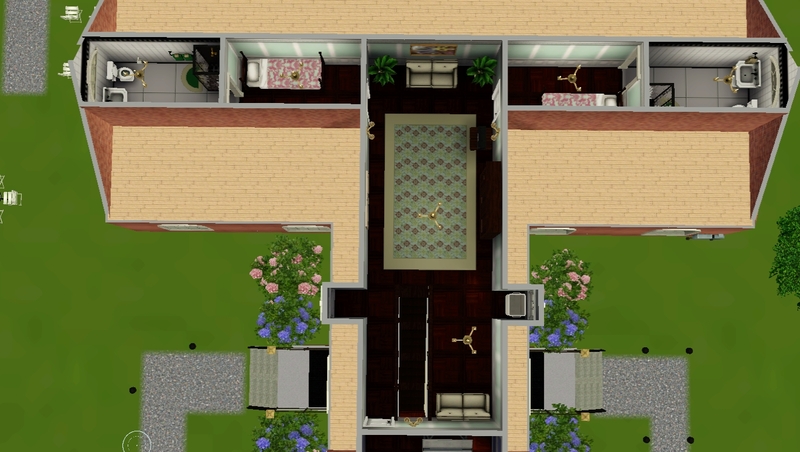 The original home basement has been walled off into a shorter space from the modern house but you can add rooms and custom content to it as you like. 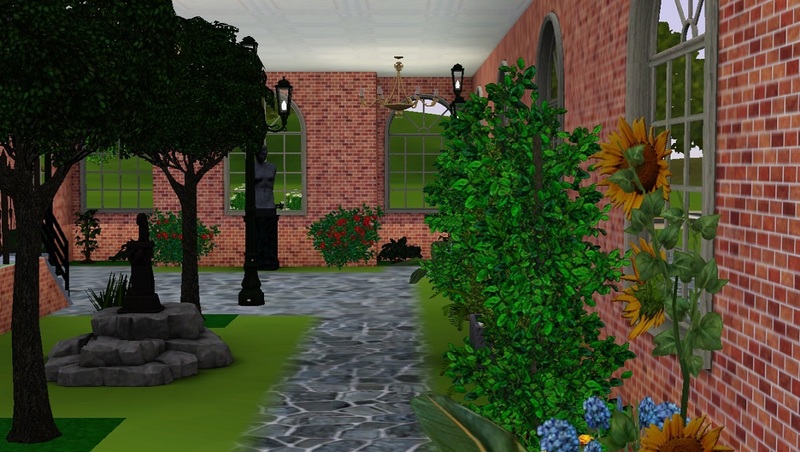 The modern home features more trees that were planted over time. 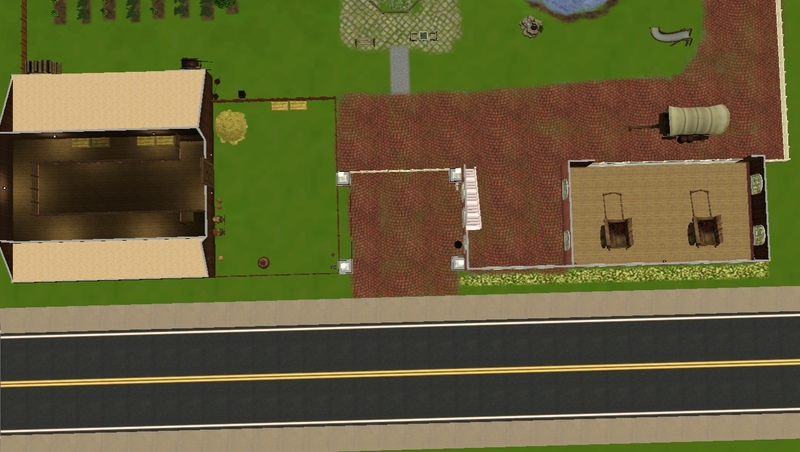 The original home has fewer trees to reflect that land was cleared for farming. 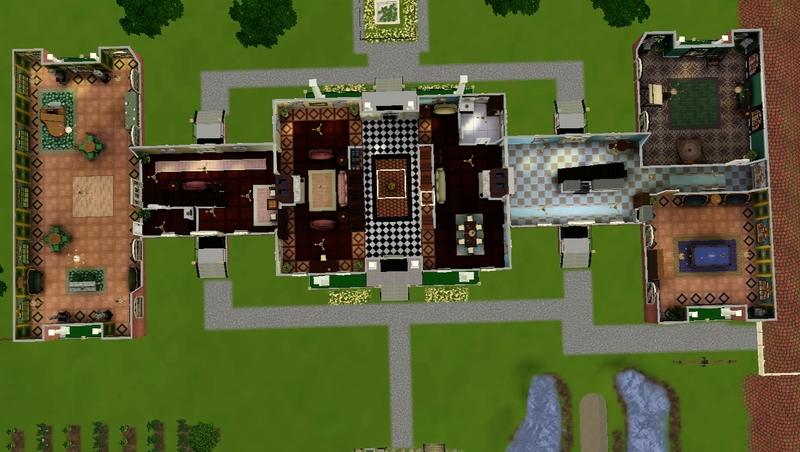 Note- a fair amount of CFE was used in this build. 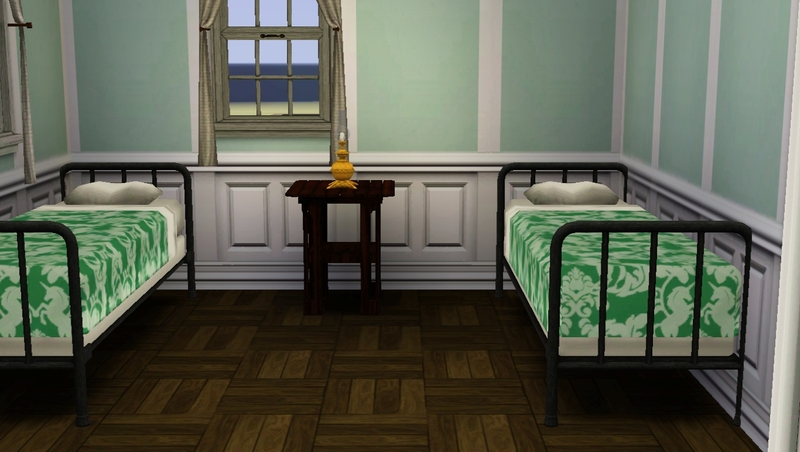 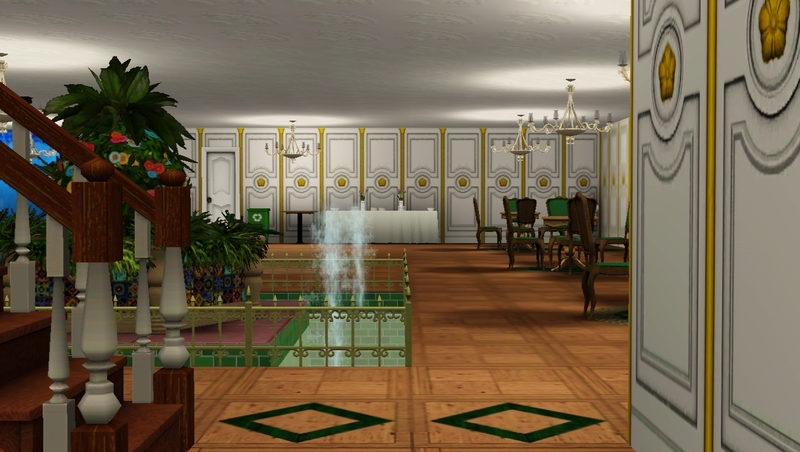 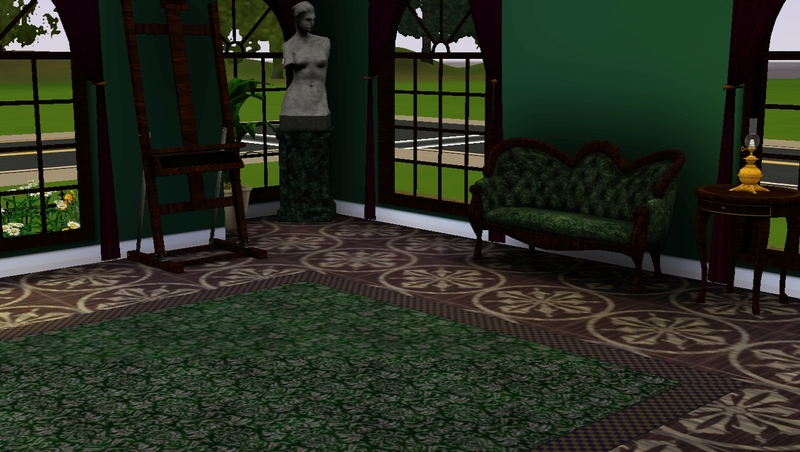 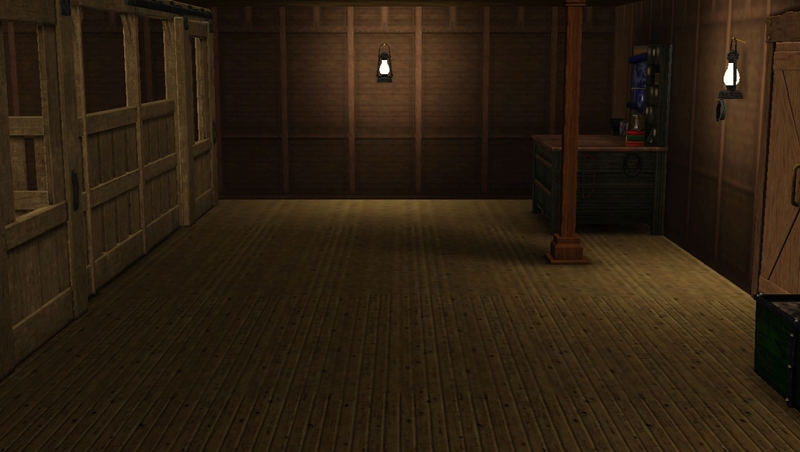 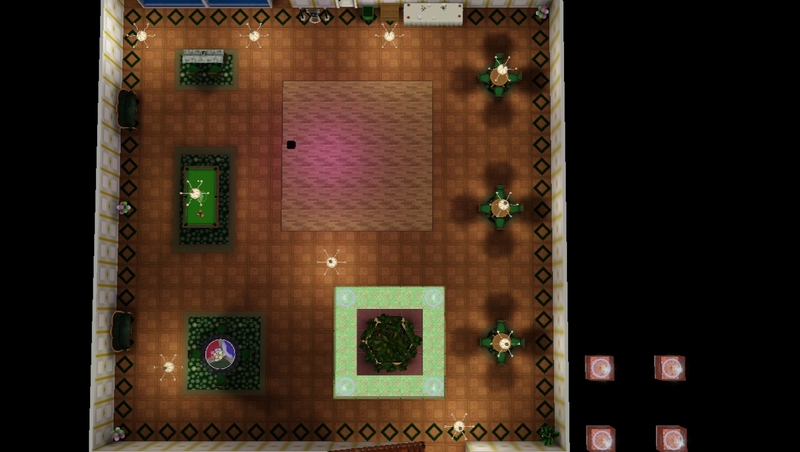 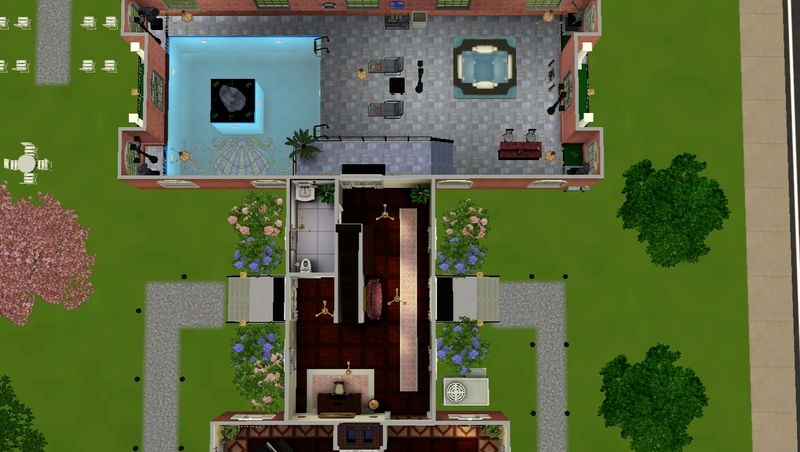 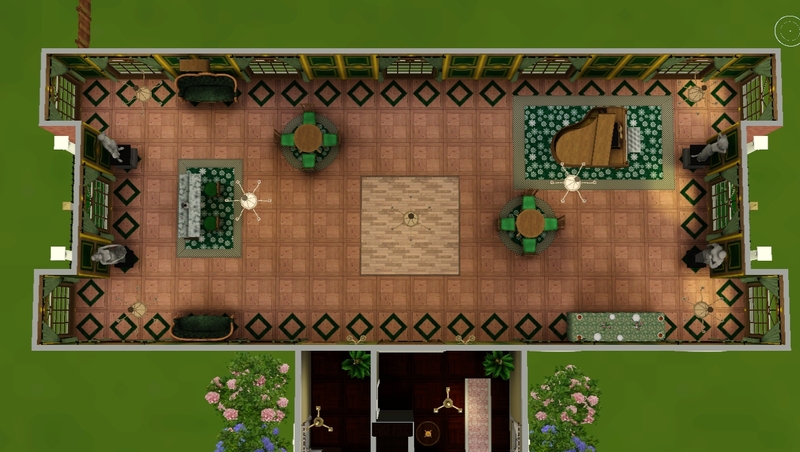 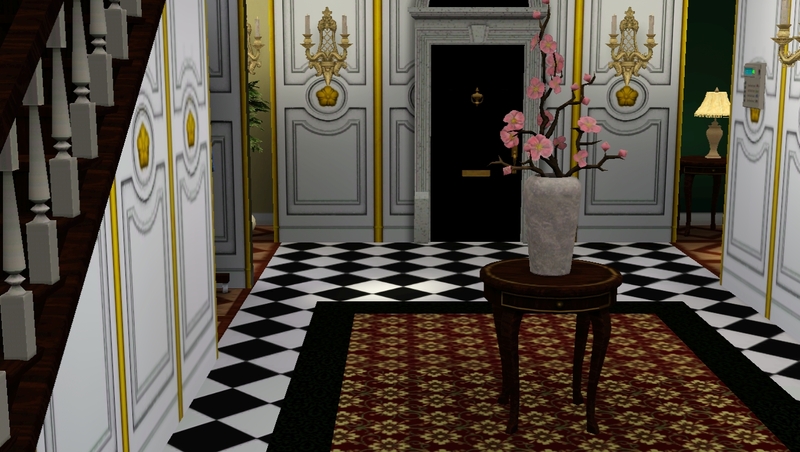 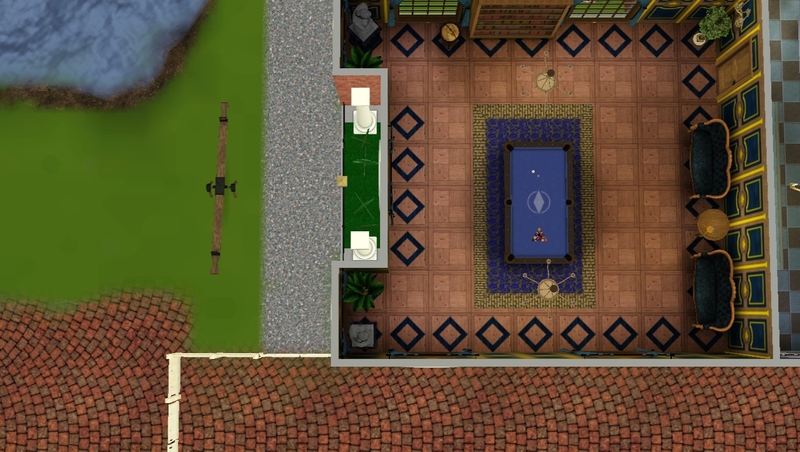 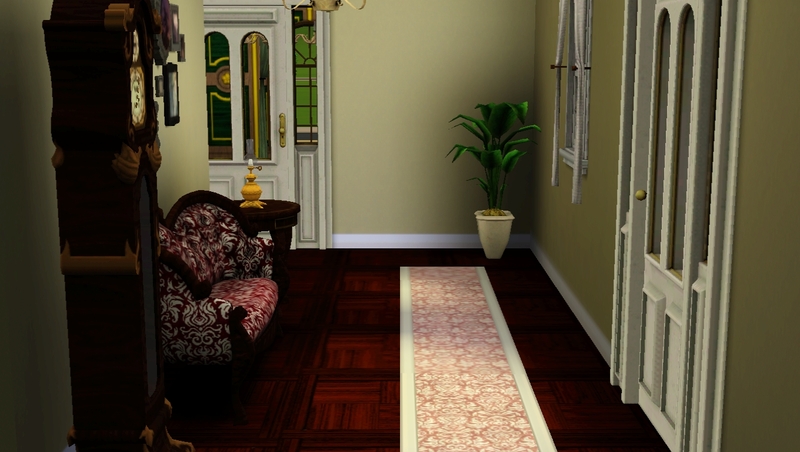 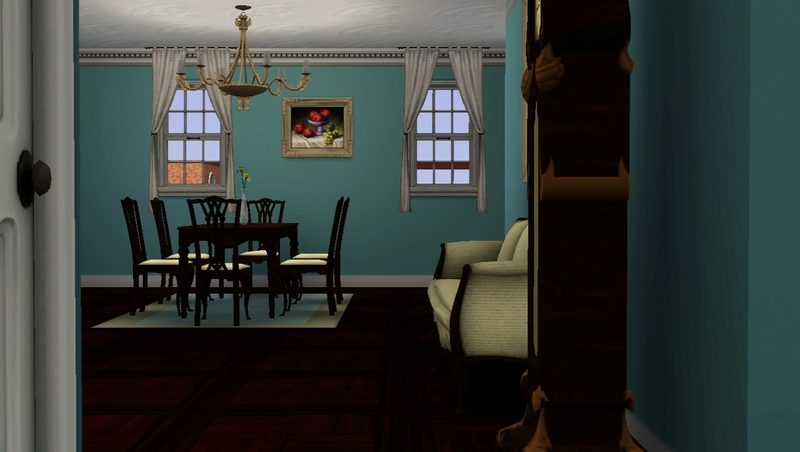 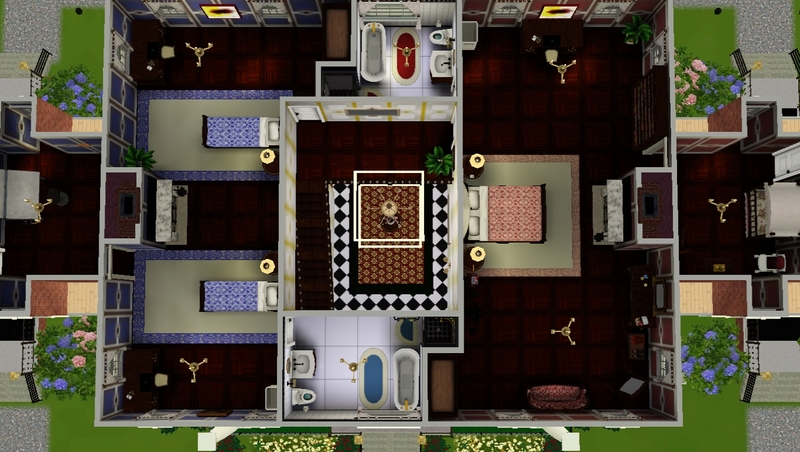 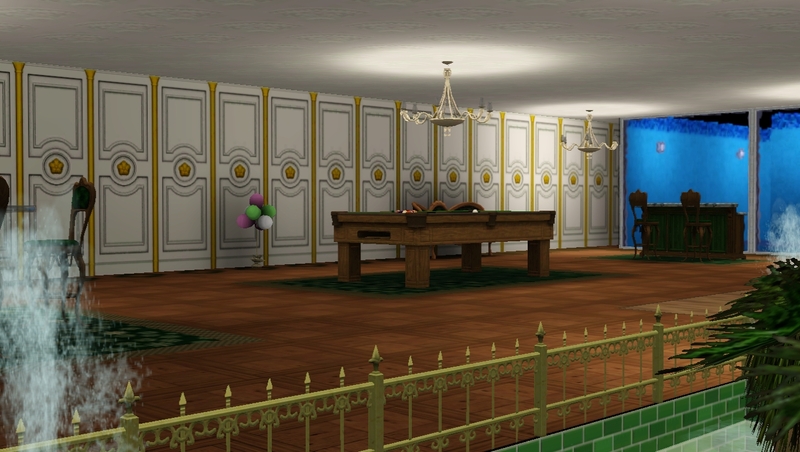 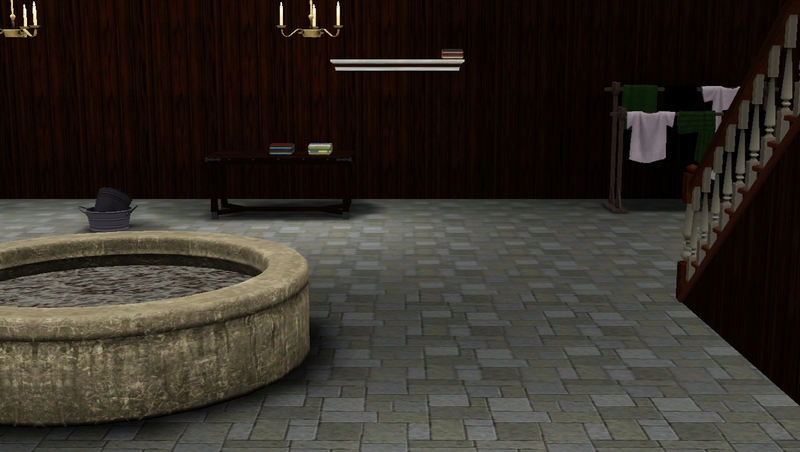 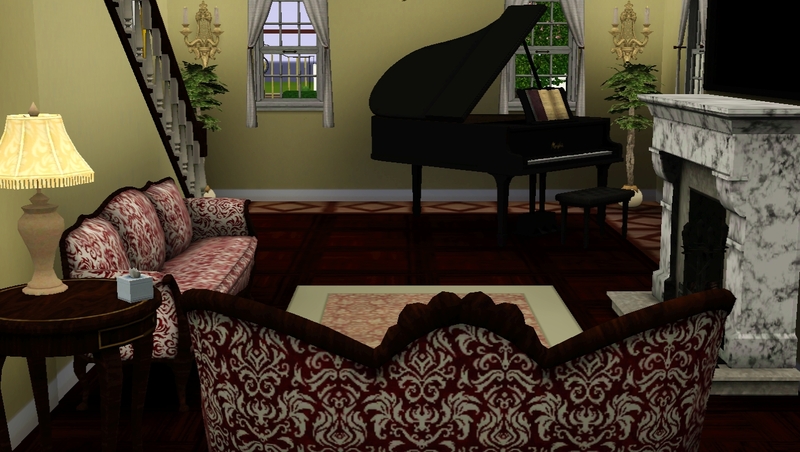 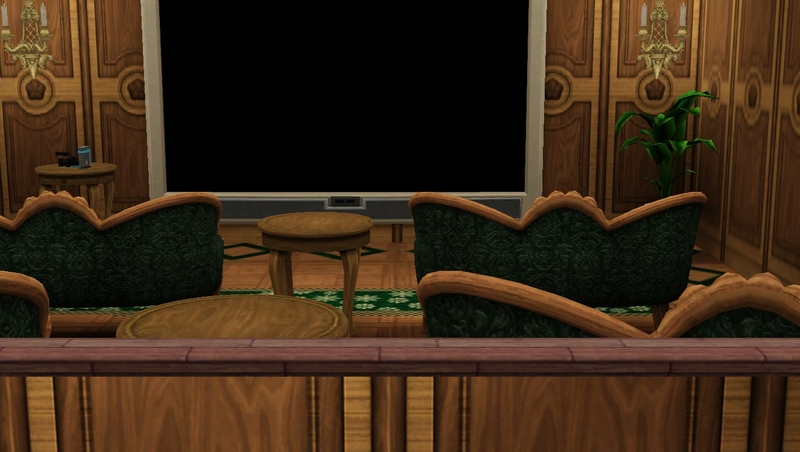 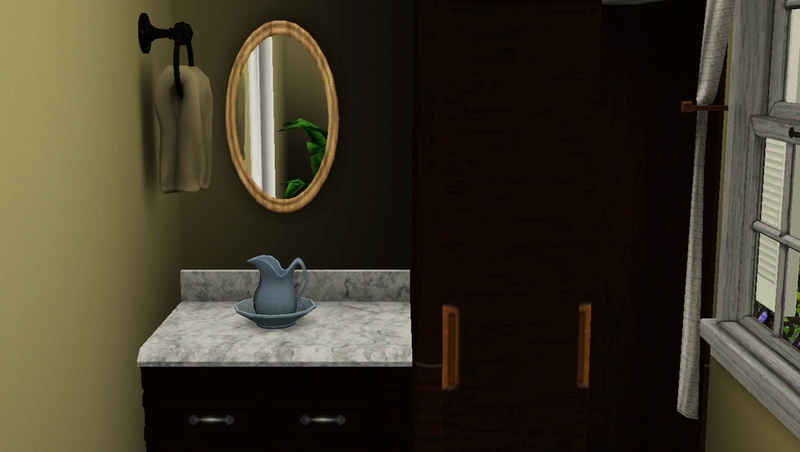 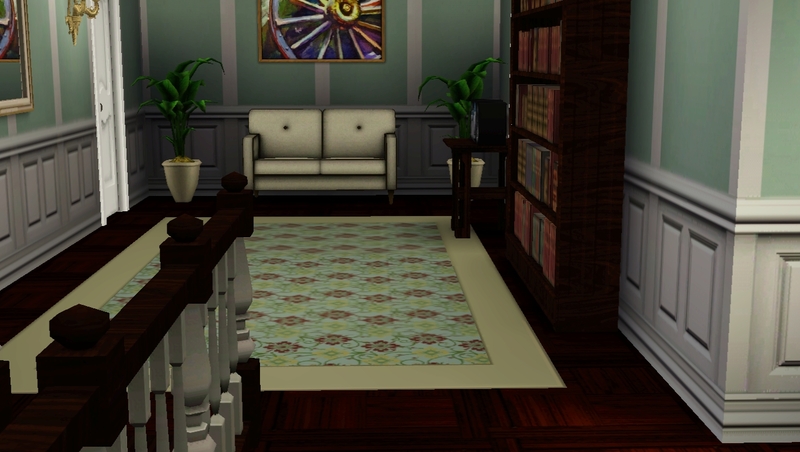 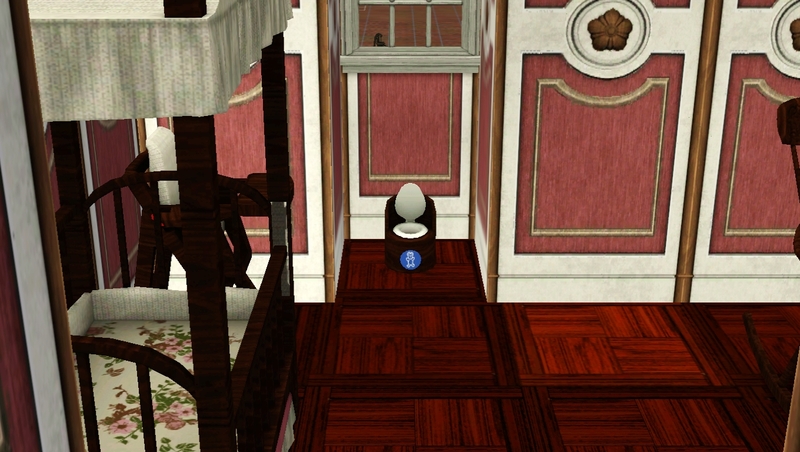 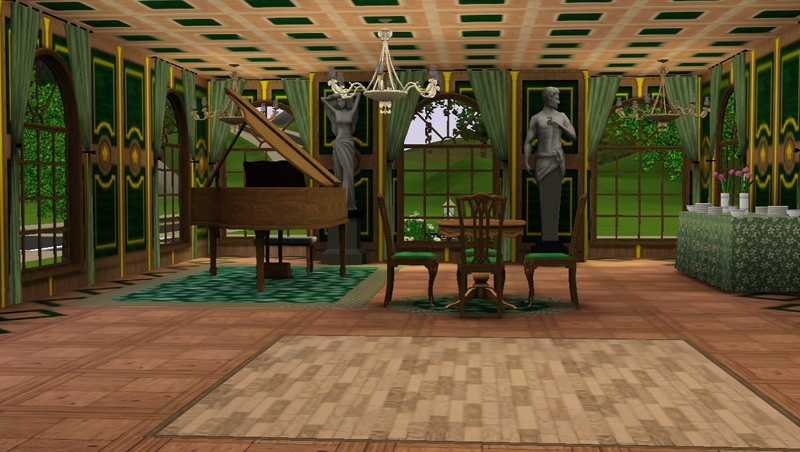 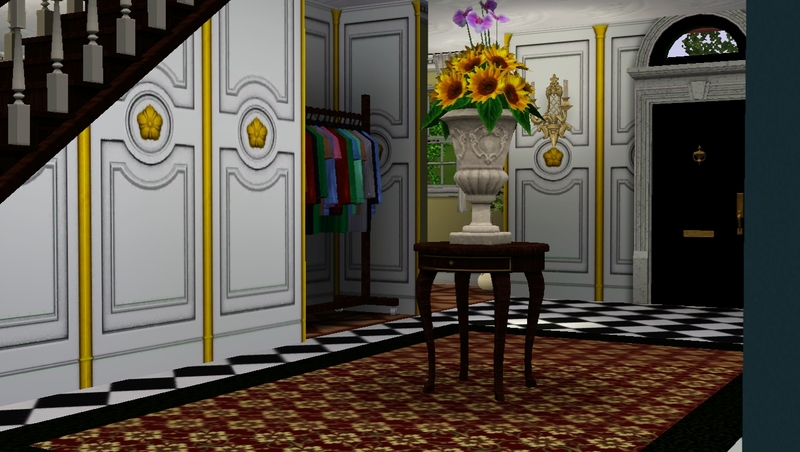 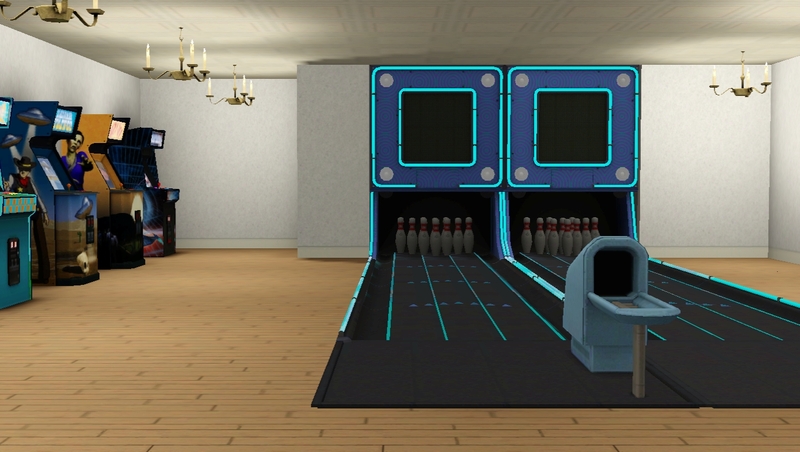 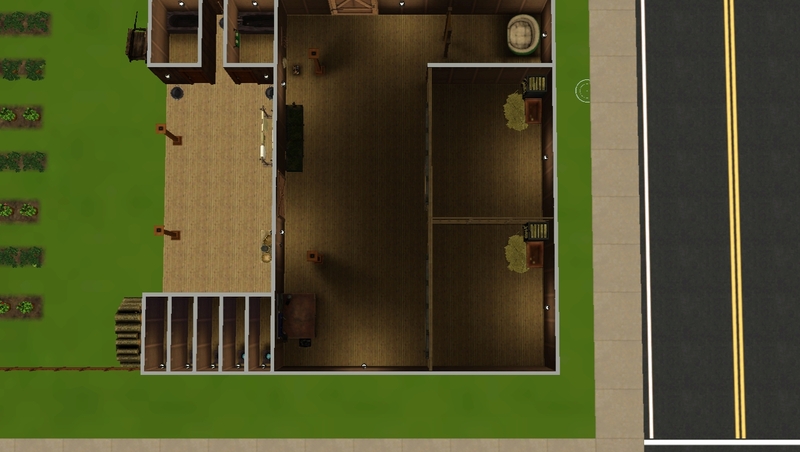 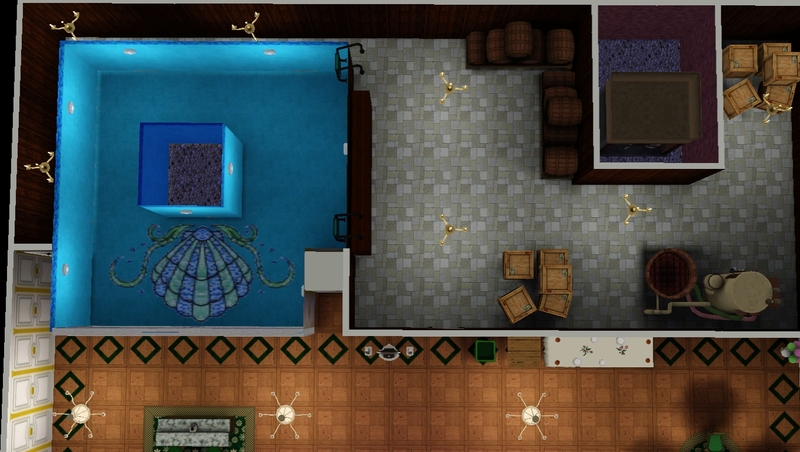 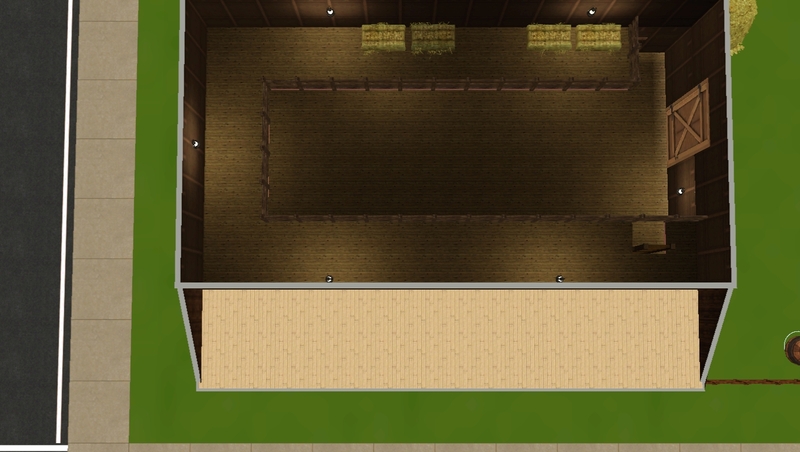 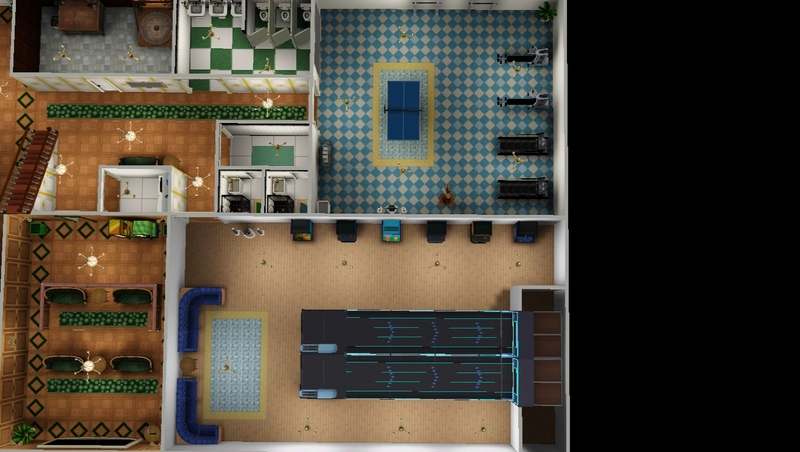 The conservatory and indoor pool areas will give your sims an unfinished room moodlet(This is a known issue that occurs with CFE-Nona Mena created a mod for this here if you wish to use it). 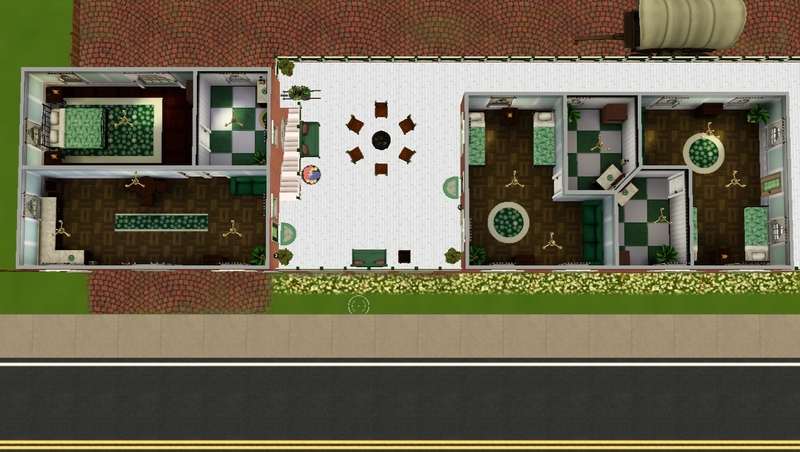 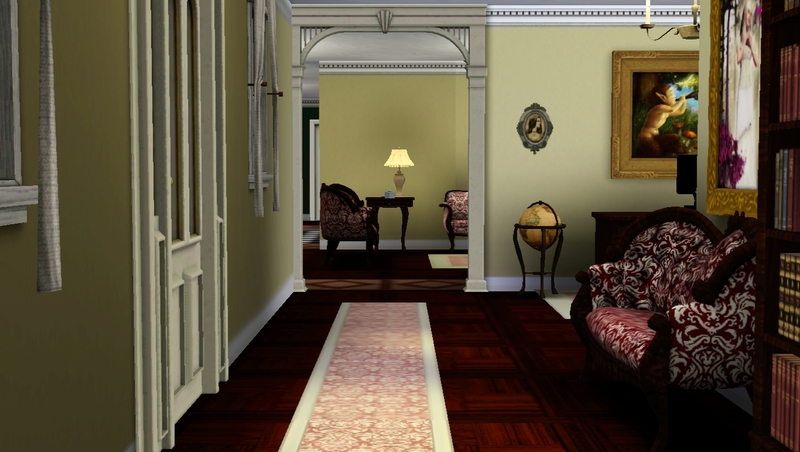 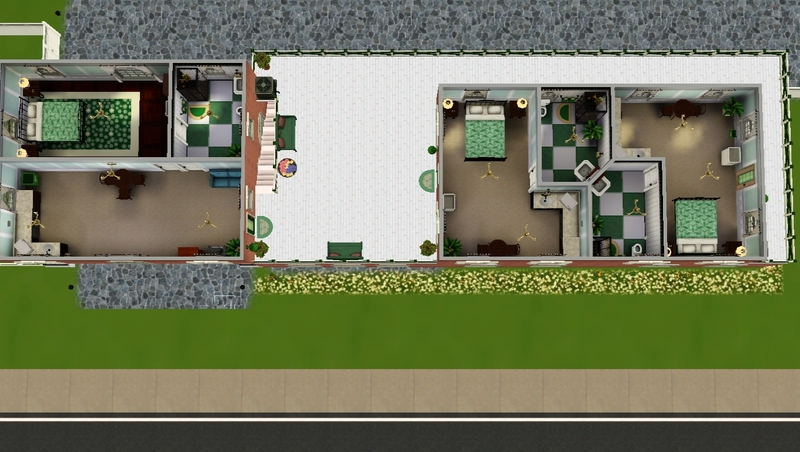 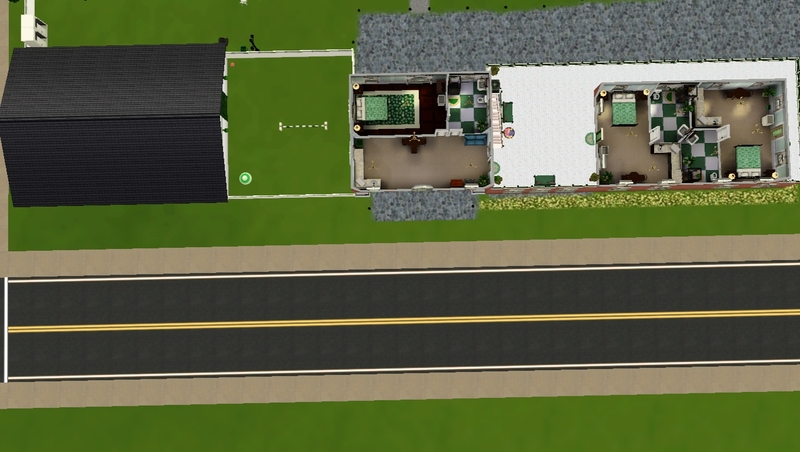 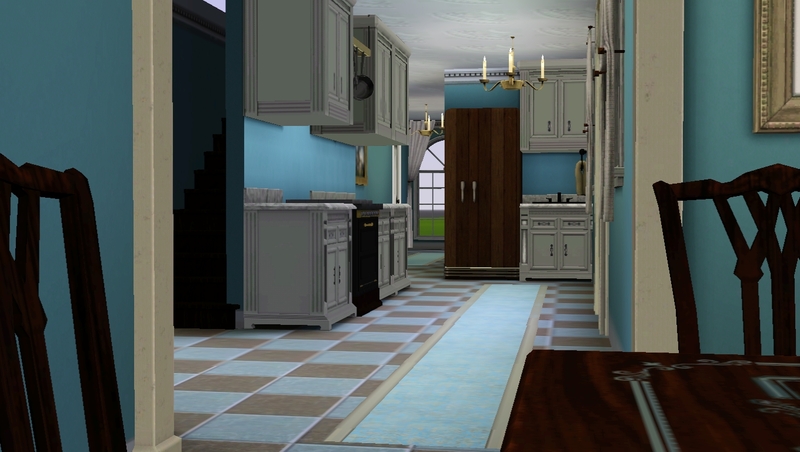 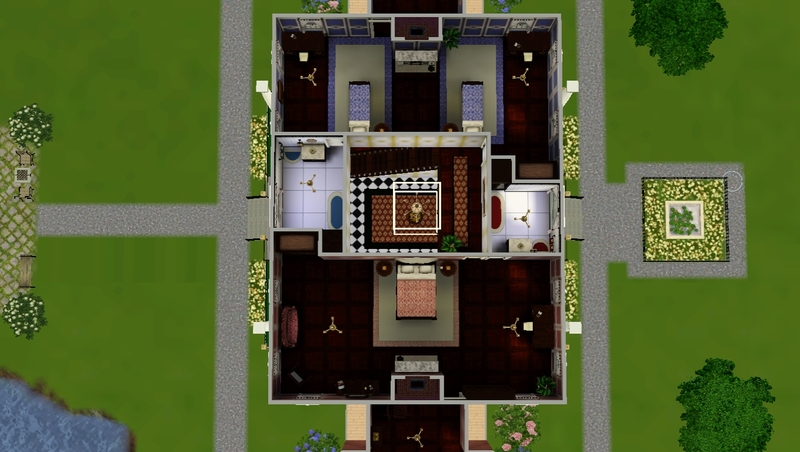 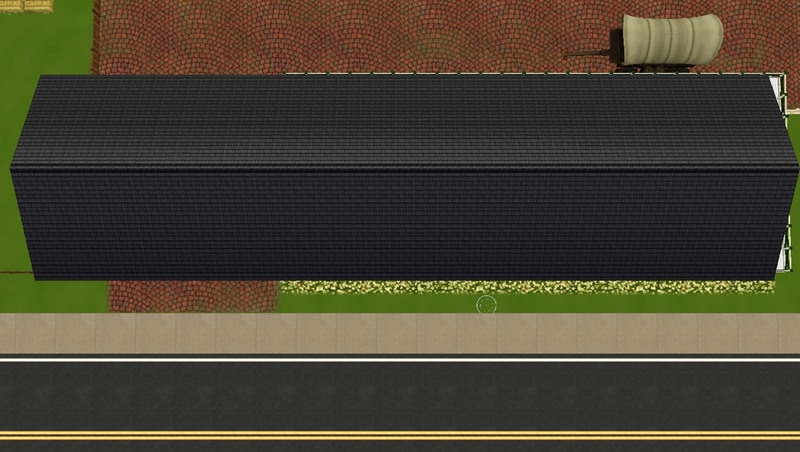 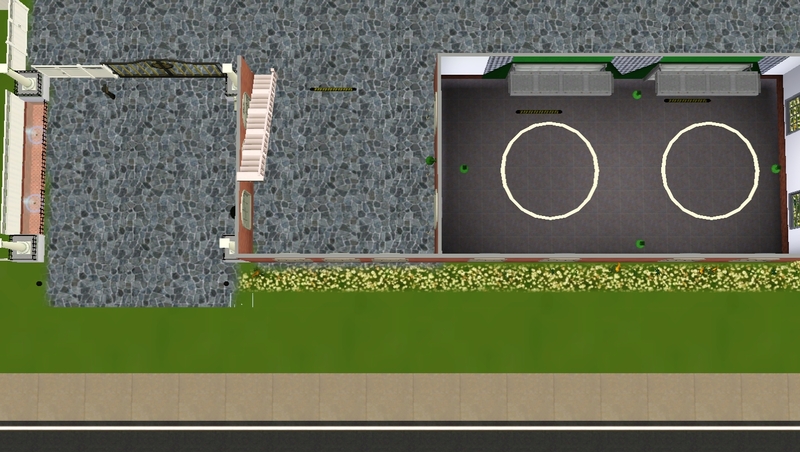 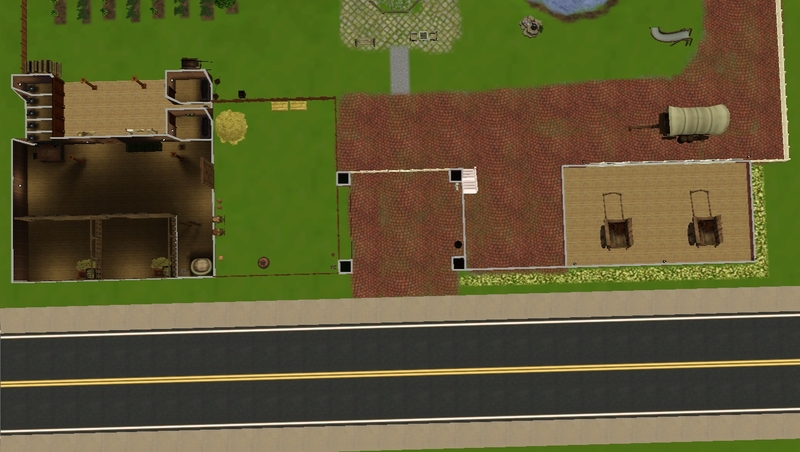 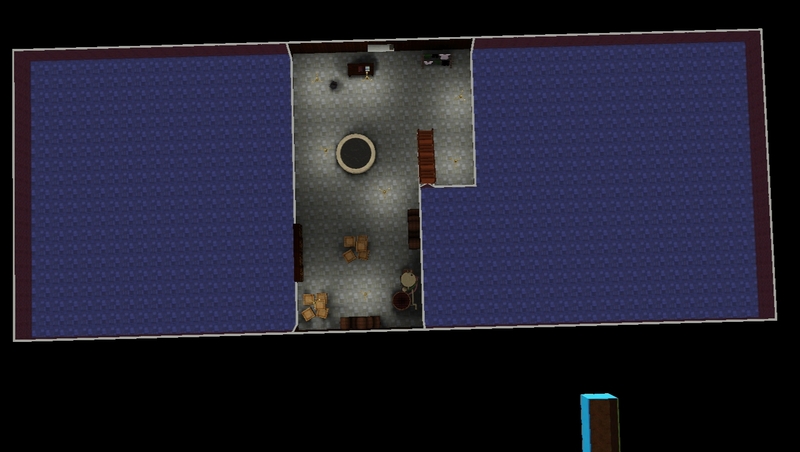 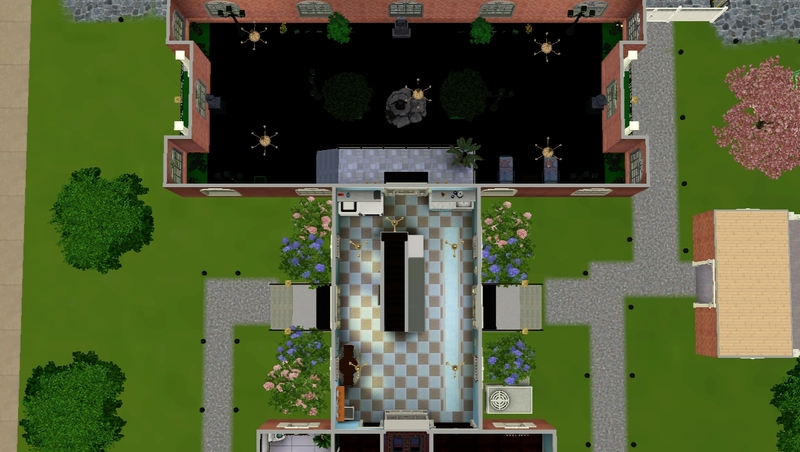 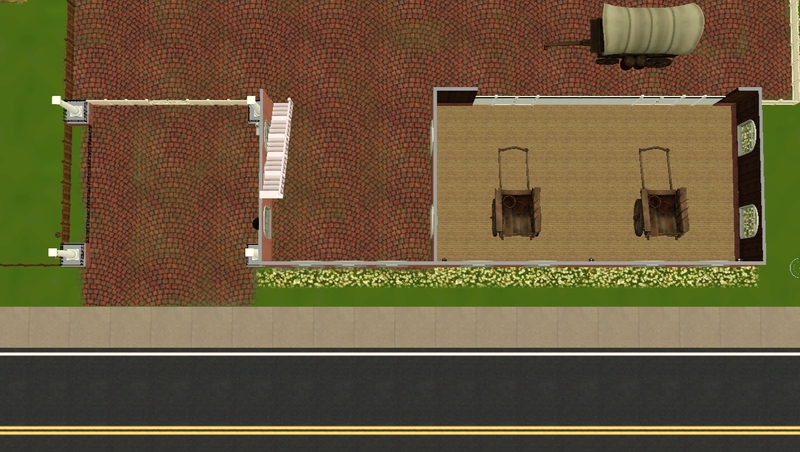 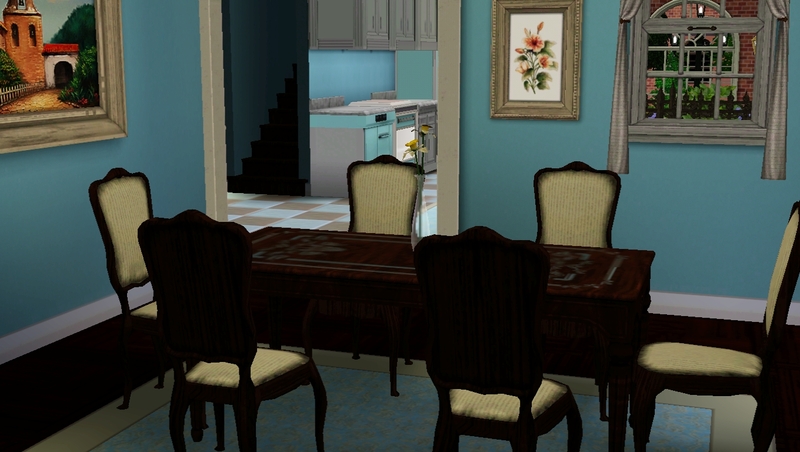 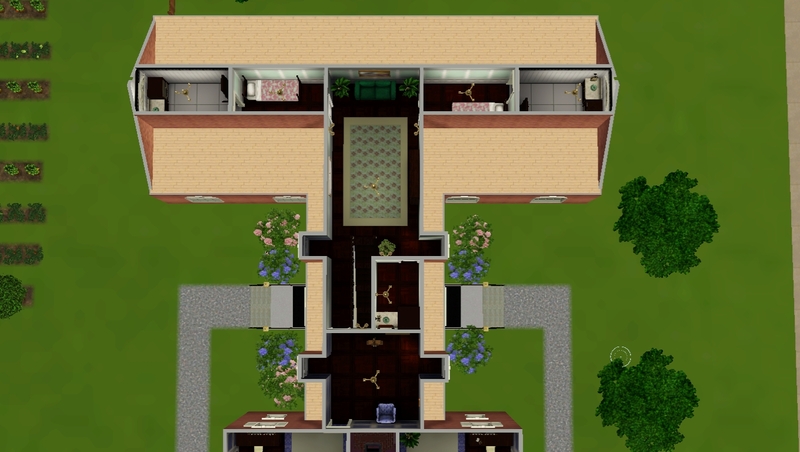 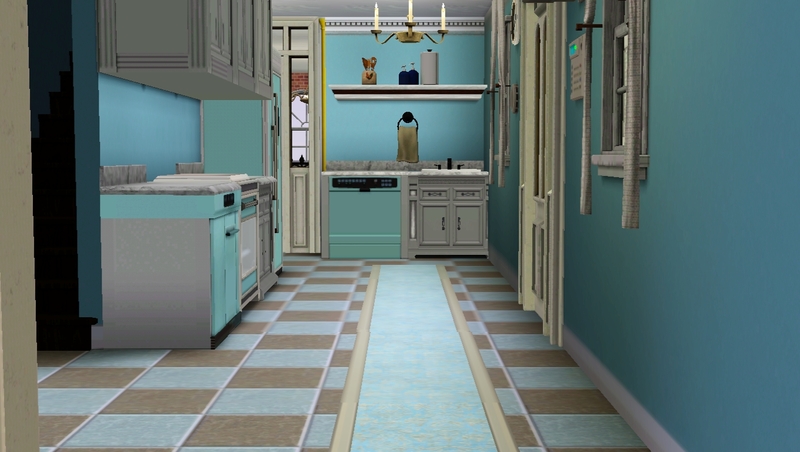 The house has symmetry so you may alter which side you want to be front by shift ctrl clicking on door and moving mailbox and trash can to side you want. 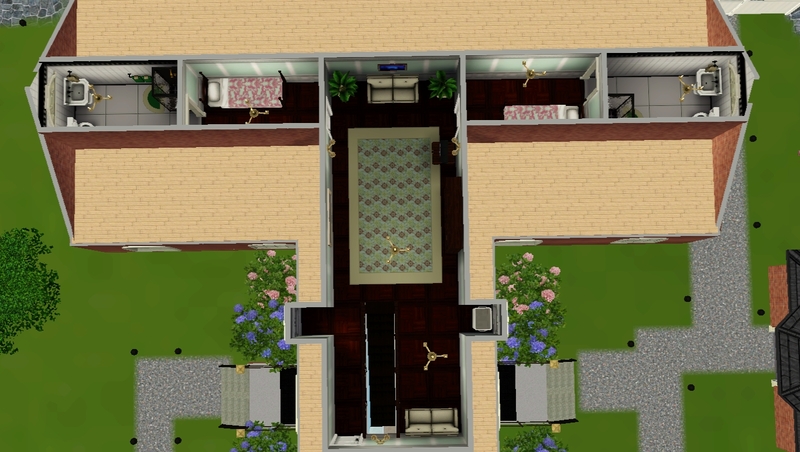 I wouldn't recommend removing stairs into basement as it used CFE to place and is difficult remodeling even when you know what you are doing. 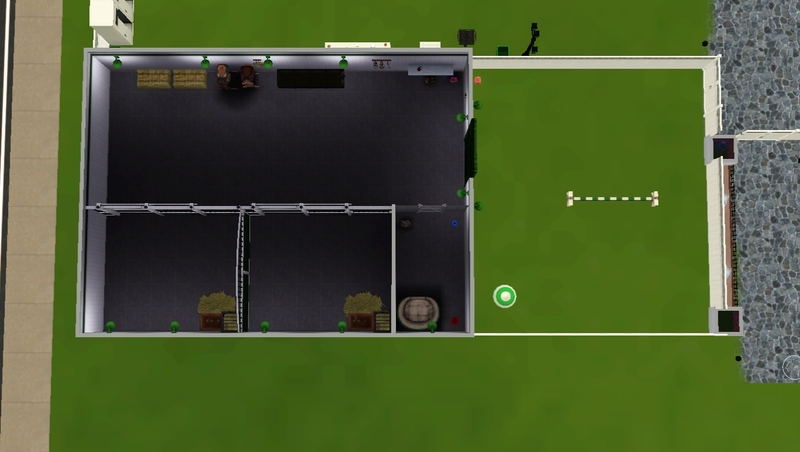 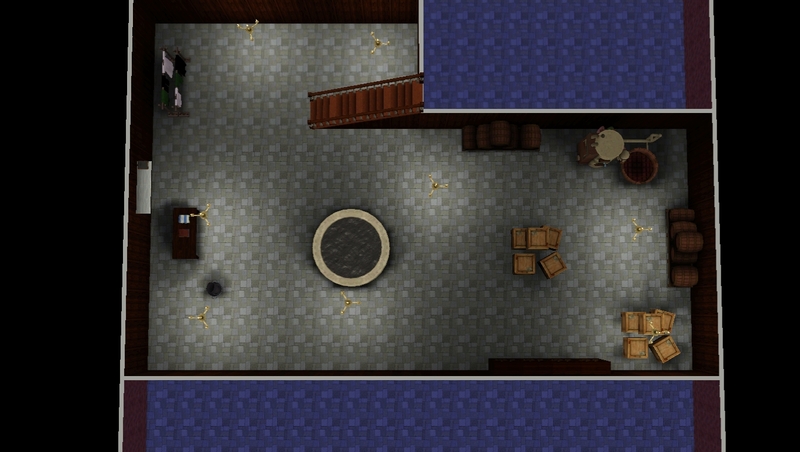 The original house should not have any burglar or fire alarms if I removed them properly. 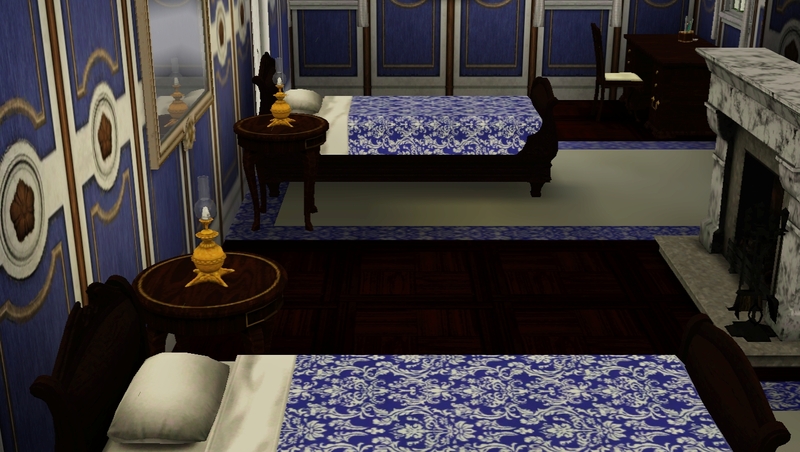 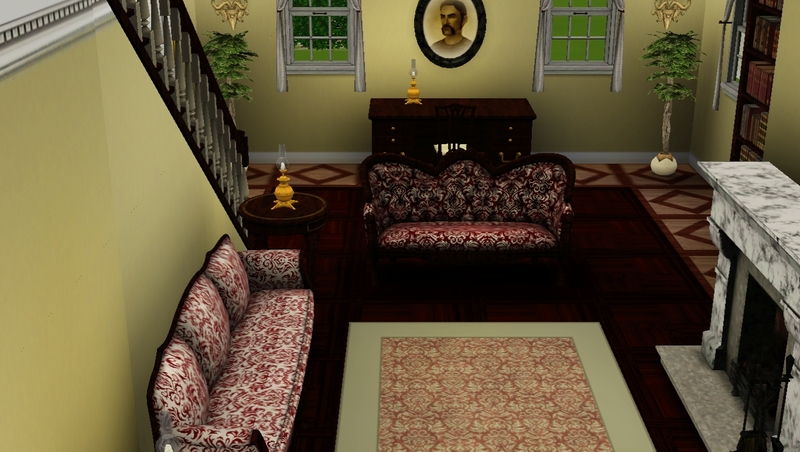 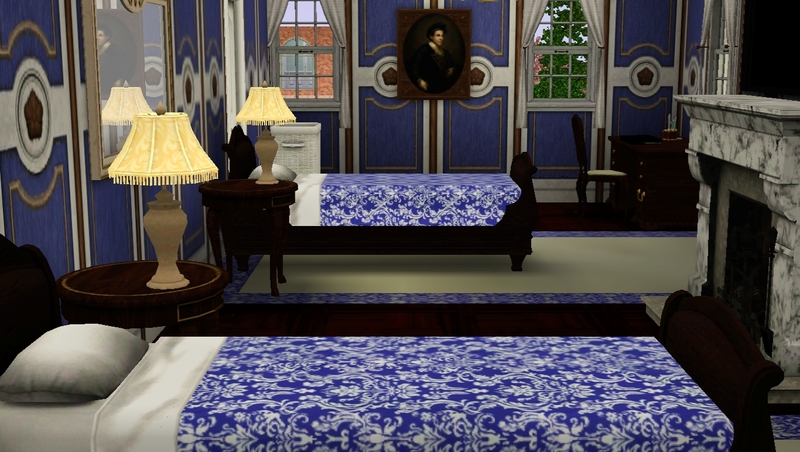 You may wish to silence your sims phone if trying for a history type story play. 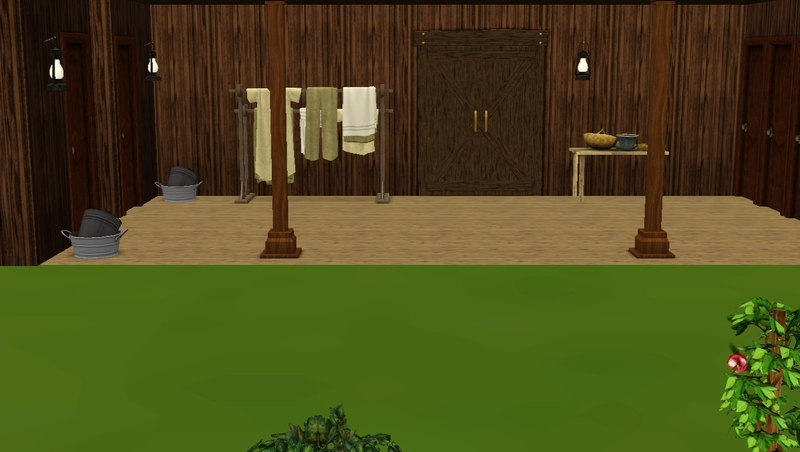 No CC or store content used but content from the following optional items /sets may accentuate these lots. 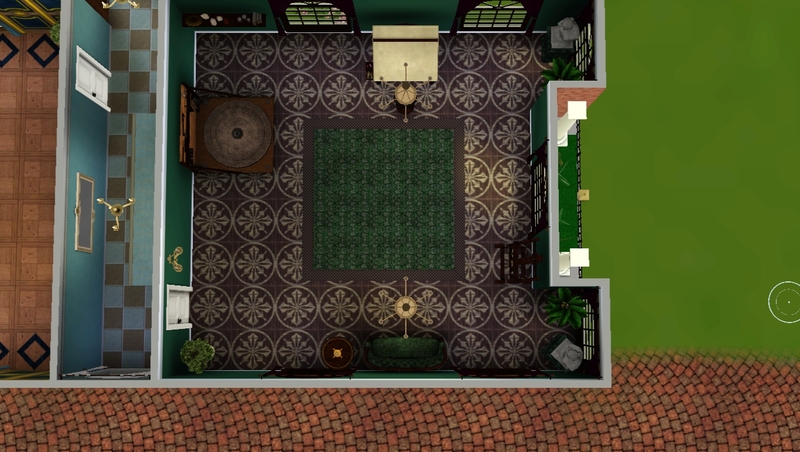 colonial II window by HugeLunatic. 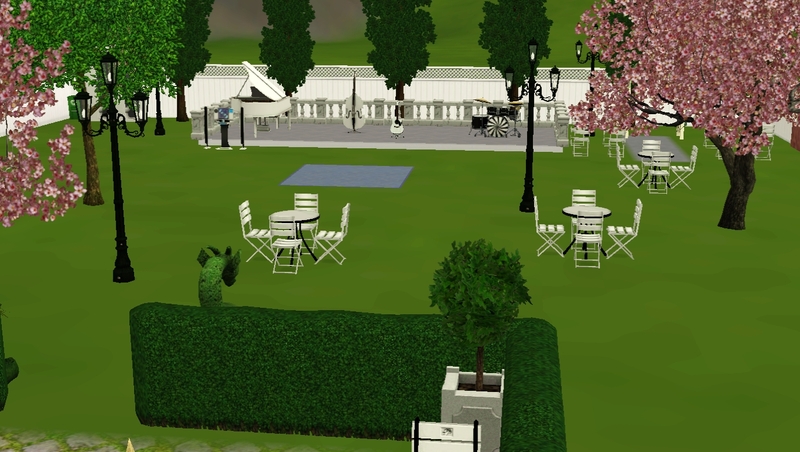 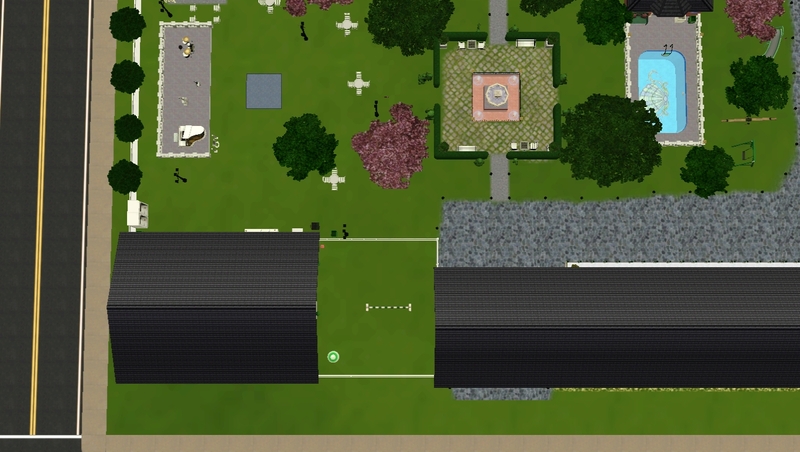 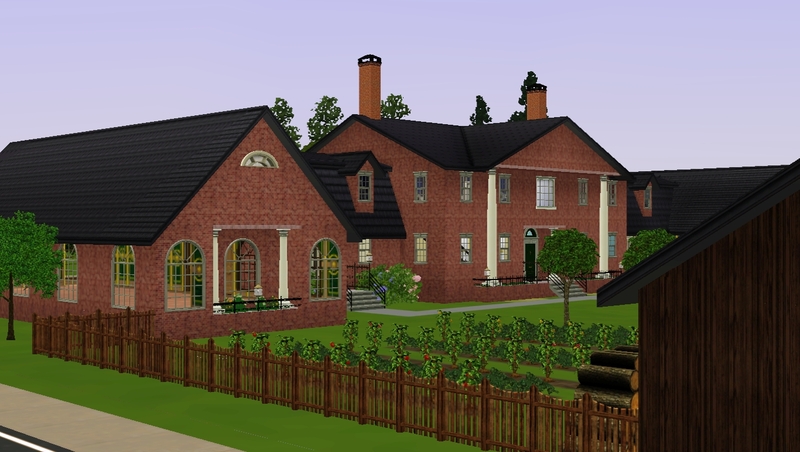 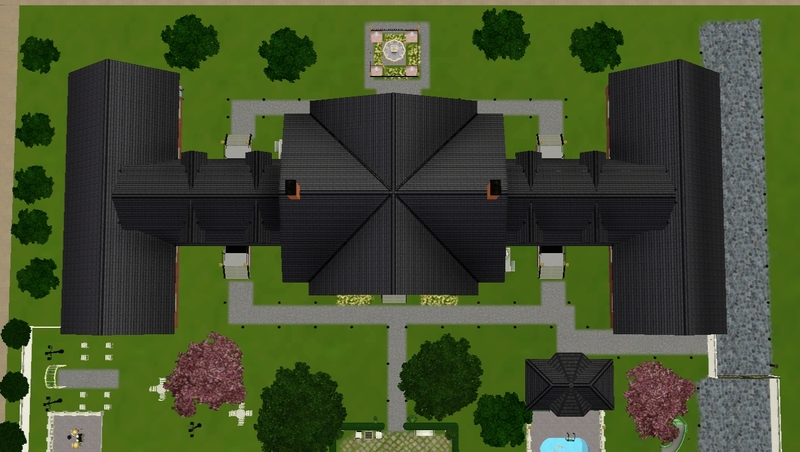 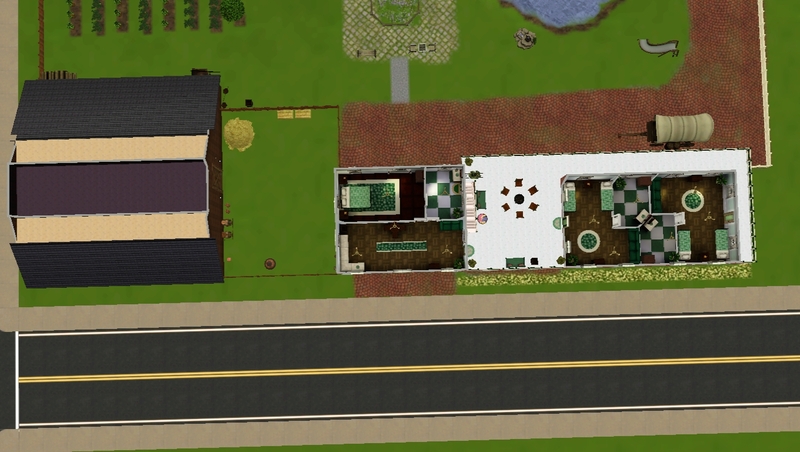 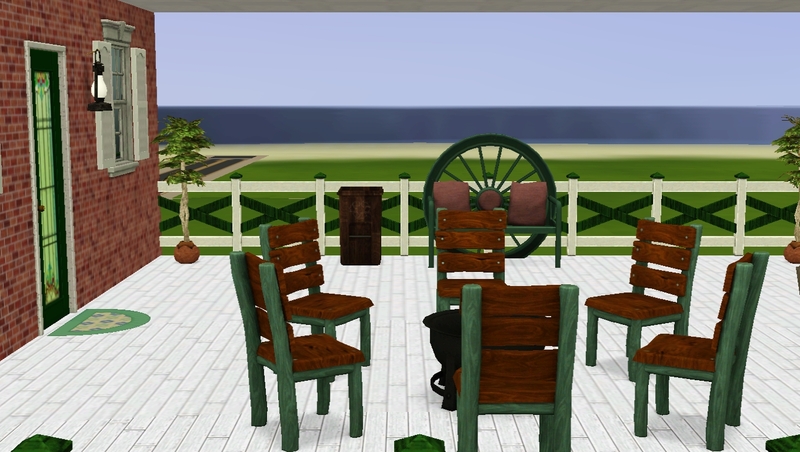 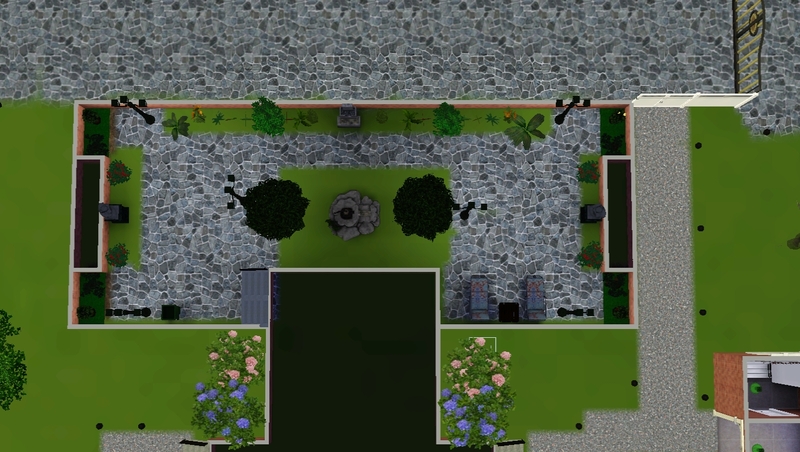 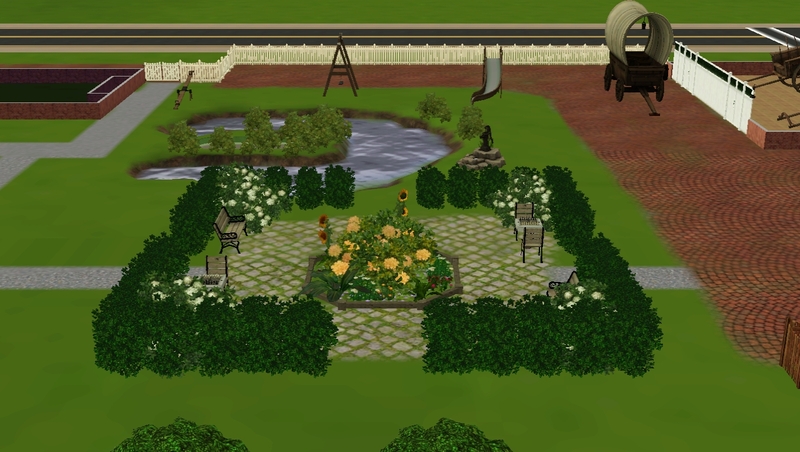 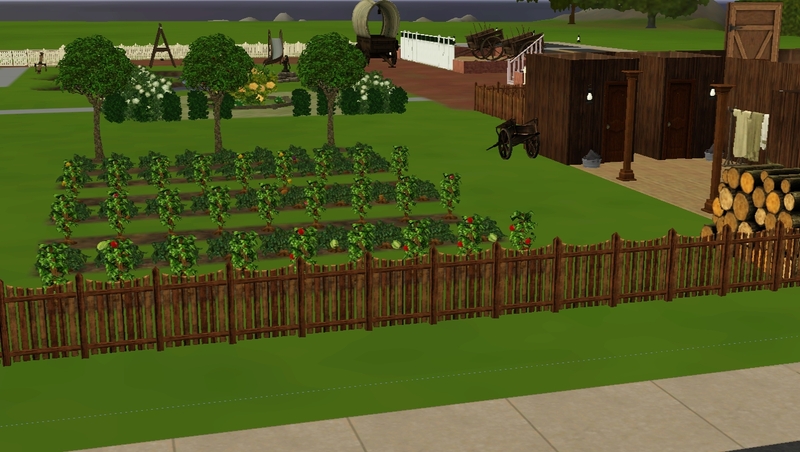 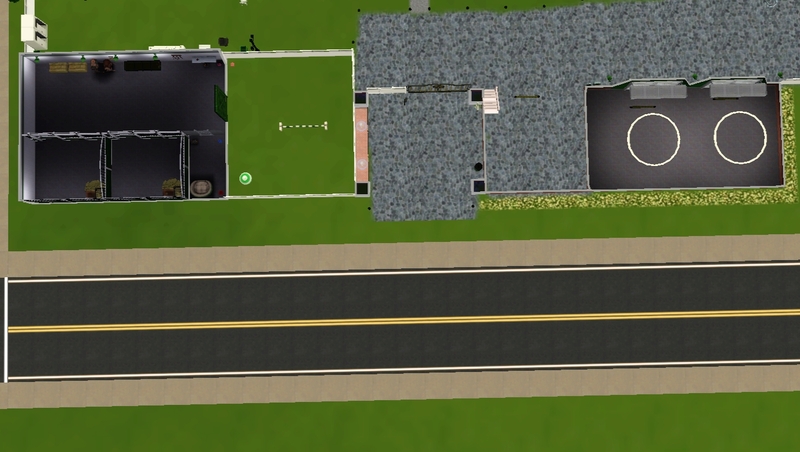 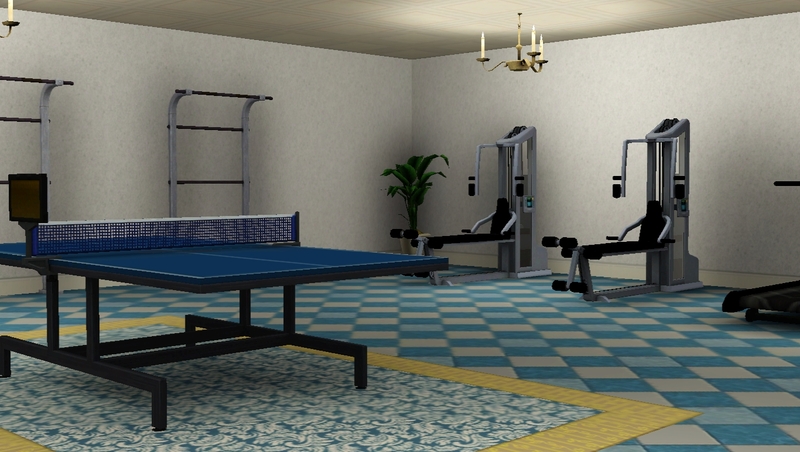 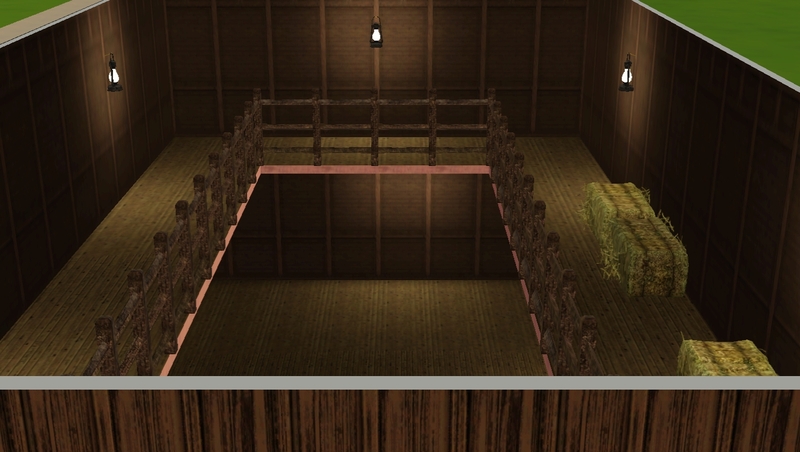 Thanks to QBUILDERZ for bigger builder island and Mod the Sims for providing a platform to share creations. 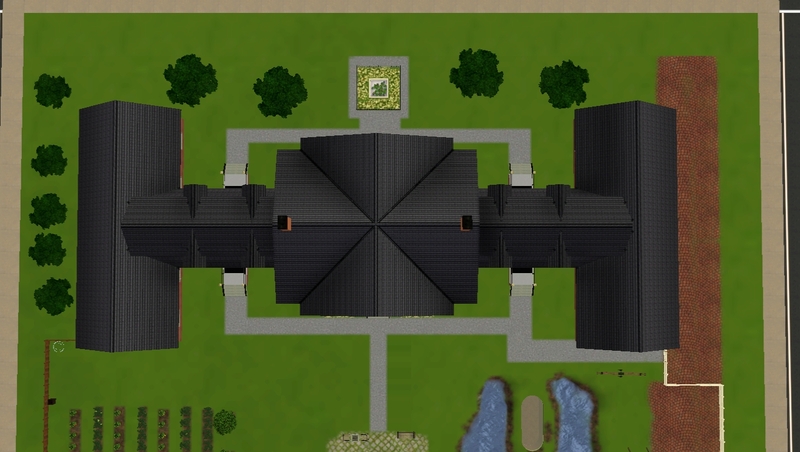 11 people have said thanks to fascisthater for this download.